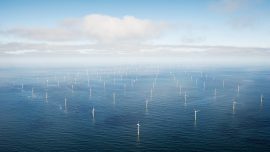 Denmark’s Energy Technology Development and Demonstration Program (EUDP) has awarded financial support to the CORTIR project proposed by a partnership of 21 industry companies and 2 universities headed up by Bladena ApS. 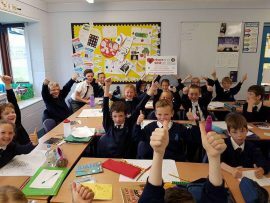 Ørsted has awarded ten local organizations around Liverpool Bay, the UK, with grants from the seventh round of the Burbo Bank Extension Community Fund. 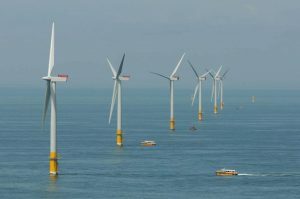 The Japan-based Nippon Life Insurance has executed a GBP 200 million syndicated loan for the Race Bank offshore wind project in the UK. 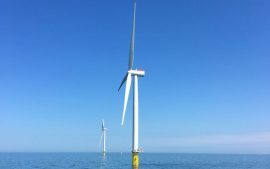 SSE has re-issued a contract notice for offshore and nearshore geotechnical survey works at the Arklow Bank offshore wind farm in the Irish Sea. 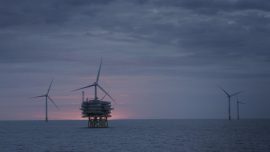 Fugro has recorded a revenue growth of 19.4% in the third quarter of 2018 compared to the same period last year, an increase mainly driven by offshore wind and oil & gas markets. 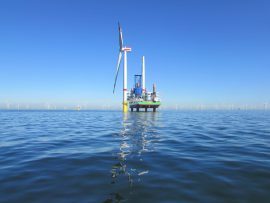 Windplus S.A. will receive around EUR 96 million from the European Investment Bank (EIB), the EU’s NER300 programme and the Government of Portugal to build the 25MW WindFloat Atlantic floating wind farm. 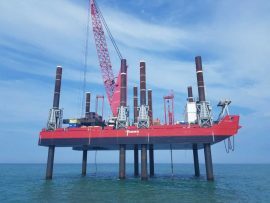 James Fisher Marine Services (JFMS) has completed a gearbox oil change project at the Thornton Bank offshore wind farm in Belgium. 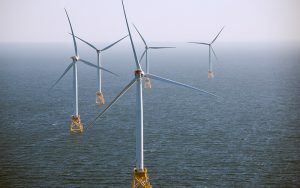 The European Investment Bank (EIB) has agreed to provide an undisclosed amount of funding for the construction of the Seamade offshore wind farm in the Belgian North Sea. 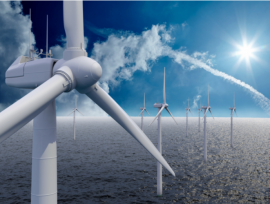 German state-owned bank, Kreditanstalt für Wiederaufbau (KfW), has agreed to acquire a 20% stake in compatriot transmission system operator 50Hertz Transmission GmbH. 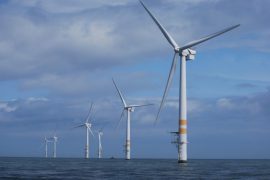 The European Investment Bank (EIB) has approved financing for an unnamed offshore wind project in Belgium as part of the EUR 3.4 billion investment package for renewable energy, energy efficiency, Near Zero Energy Buildings, hydropower and district heating projects. 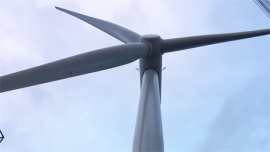 Ørsted and robotics solutions provider SkySpecs have completed an automated inspection of wind turbine blades on Ørsted’s Burbo Bank Extension wind farm off the coast of Liverpool Bay, UK. 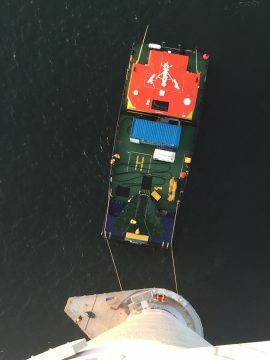 APEM has commenced aerial wildlife surveys at Ørsted’s 573MW Race Bank wind farm located offshore North Norfolk in the UK. 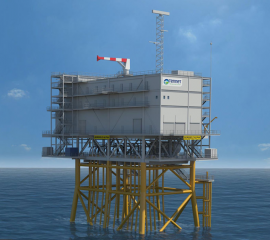 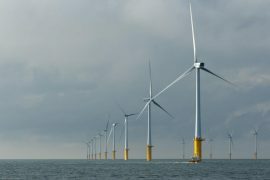 Ofgem has chosen Diamond Transmission Partners as the preferred bidder to own and operate the high voltage transmission link to Ørsted’s Race Bank offshore wind farm for the next 20 years. 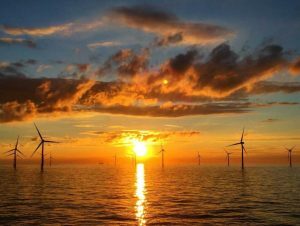 Ørsted has awarded nine organizations around Liverpool Bay, the UK, with grants from the sixth round of its Burbo Bank Extension Community Fund. 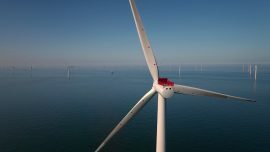 Ørsted and its project partners, Macquarie and Sumitomo, officially opened the 573MW Race Bank offshore wind farm on 13 June at a ceremony in Grimsby, UK. 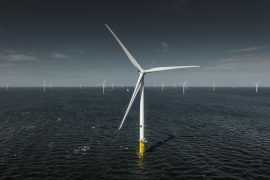 Ørsted and its Race Bank project partners, Macquarie and Sumitomo, will hold an inauguration ceremony for the 573MW offshore wind farm in Grimsby, UK, on 13 June. 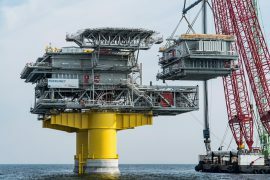 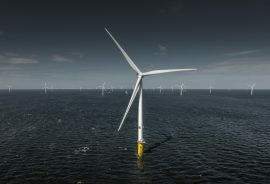 Diamond Transmission Partners BBE Limited (DTPBBE) has signed the acquisition of transmission assets connected to the Burbo Bank Extension offshore wind farm located in the Bay of Liverpool in the UK. 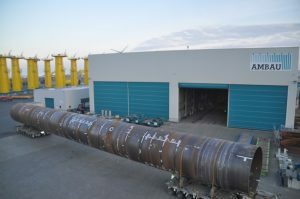 TenneT TSO has issued a contract notice for the design, supply, erection and testing of complete 220kV and 380kV filter banks (H-bridge capacitor banks including air-core reactors and resistors), for the operator’s high voltage grid in the Netherlands.